Star Wars Battlefront is released this Friday after months of anticipation. Based on the beta released last month, we’re fairly certain it’s going to be great! However, like the movies, not every StarWars game is good. In fact, some of it is so bad that it deserves to be cast into a distant corner of a galaxy far, far away so no-one has to deal with it again. Ahem. Anyway, here are the best and worst Star Wars videogames! Based off the first movie, Super Star Wars is basically Contra with Han Solo and the gang instead of angry commandos. It’s every bit as awesome as that sounds too. You play as various characters, but the objective is always the same: shoot as many Stormtroopers as possible. Oh, and there were controller-smashingly difficult vehicle levels too, because pretty much every SNES game had to have at least one. 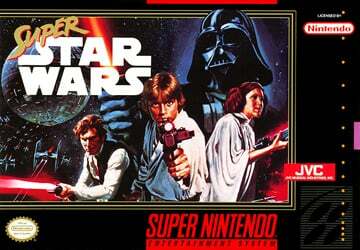 If you fancy playing Super Star Wars, you don’t need to dig out your SNEs: it’s being re-released on PS4 and PS Vita this weekend! The best Star Wars game, bar none. KOTOR isn’t actually based on any of the films, instead taking place before Luke Skywalker was even a twinkle in Darth Vader’s eye. You play as a Jedi coming to terms with the force in time to take down a Sith baddie planning to take over the universe (what else?). We can’t reveal much more without spoiling it, but it’s arguably the best Star Wars story not called The Empire Strikes Back. Oh yes, it’s that good. The first Dark Forces was the first Star Wars FPS, mimicking Doom and throwing in a few lightsabers for good measure. The sequel took everything good about Dark Forces and made it even better, adding even more lightsaber action and introducing an online multiplayer mode so you could slash up your mates too. ‘Pilot an X-Wing’ is arguably only second to ‘using a lightsaber’ on any Star Wars fans wishlist, which is why Rogue Leader is so great. You take control of your very own ship as fly through ten levels based on the original trilogy, which mainly involves shooting down TIE fighters and eventually navigating the trenches of the Death Star to fire a laser into that incredibly convenient self-destruct hole. Let’s face it: the Dark Side is cool. Darth Vader, Darth Maul, Boba Fett – the list goes on. The Force Unleashed realised this, casting you as Darth Vader’s apprentice StarKiller (which is almost certainly the name of a high school rock band too) as you slash through rebel forces and hunt Jedi. The gameplay was fast-paced and finally made wielding a lightsaber as fun as it looks in the films. You also get to do some cool tricks with the Force. 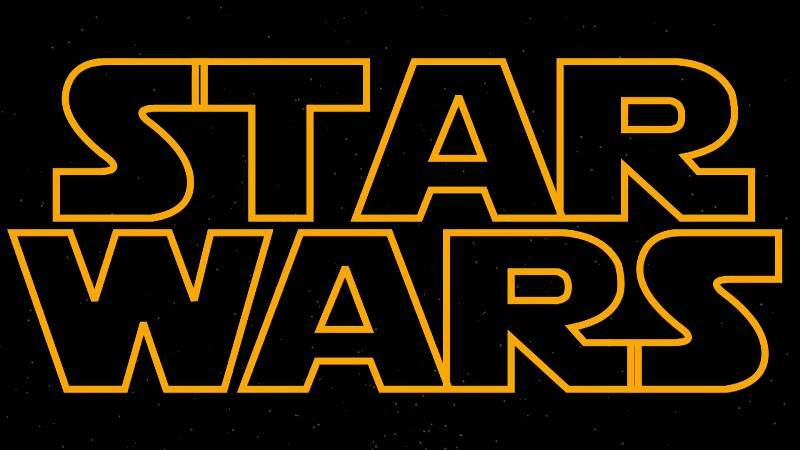 Like the Kinect itself, Kinect Star Wars promised so much but delivered so little. We had dreams of becoming a Jedi, swinging our lightsaber in a furious mission to overthrow the Empire. Instead, we got a few minigames and ended up looking like a bit of plonker waving our hands around in our living room. Not even wearing a hooded dressing gown made it better. 2001 was a dark period for the Star Wars franchise. The Phantom Menace came out. Jar Jar Binks was born. And, worst of all (yep, there was something worse than Jar Jar! ), Super Bombad Racing was released. Super Bombad Racing is a Mario Kart rip-off starring the cast of Star Wars. And not Han Solo or Darth Vader either: we’re talking big-headed versions of characters from The Phantom Menace. Think how annoying it is getting hit by a red shell in Mario Kart; now imagine Jar Jar Binks throwing that shell. Urgh, we’re getting angry just thinking about it! A Star Wars beat-em-up should have been awesome. Imagine Soul Calibur but with Darth Vader and Yoda instead! Unfortunately, Masters of Teras Kasi wasn’t that game. In fact, it was soul-destroyingly terrible. While you get to play as most of your favourite characters, most of them are useless. The lightsaber-wielding characters half-heartedly wave their weapons, chipping off tiny bits of damage at a time. They could still beat the living daylights out of blaster-weilding characters though, who had to wait for their gun to charge for half the fight. And it looked terrible too! All in all, chopping your hand off with a lightsaber would be more fun. Hey, remember that bit in Star Wars when Luke drove a big tank and blew up stuff for fun? Nope, us either! But that’s precisely what you do in this rip-off of Twisted Metal. We could forgive the nonsense plot if the game wasn’t a metaphorical car-crash, but the controls were awful and the graphics weren’t much better. Need some extra cash to buy Battlefront? Sell your games today and we’ll pay you on the same day we receive them! Just click below to get started. ← Should you buy Fallout 4?